I’m a person of many diverse interests but recent events in my life have made me take concern with self love, worthiness and mental illness. I’ve shared this on every platform possible and this is just one more. 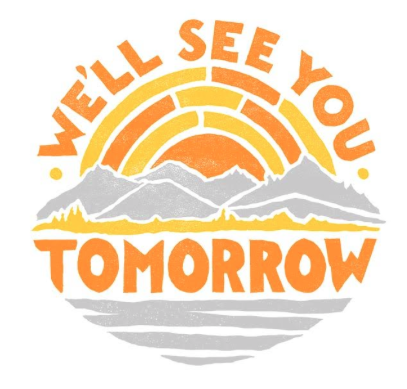 I feel that this day is so much more than raising awareness about suicide. It’s about the stigma surrounding mental illness. It’s about making people feel more comfortable by being empathetic to others and to ourselves. It’s about taking a step back and saying, “I can’t deal with this right now”. Like all social justice issues I didn’t really believe that there was a stigma surrounding it until I actually evaluated my own actions. I would say things like “oh, I’m just grumpy today” or “I’m just not feeling well” when really I should have been saying “it’s ok not to overload myself and to take a step back and decide not to do this thing today”. I started using the app pacifica to track and help me better understand my thoughts, worries and help me combat them. I’ve followed the non-profit To Write Love On Her Arms for many years and I’ve also found great comfort through their campaigns, blogs and the recently published book by the founder, Jamie Tworkowski, “If You Feel Too Much“. I gather a lot of confidence from some of their quotes (the english major in me, I guess). I think that lots of people struggle with thinking they’re not worthy of great things or that they don’t expect great things to happen for them or because of them but they are so wrong. “your name does not end in silence”. It ends in roaring cheers, applause, “you did a good job today” and on the worst days, it ends in “we’ll see you tomorrow”. A small call for you to try again and to be new each day. You are so much greater and more worthy than you think you are. Please believe it and I’ll see you tomorrow. UR S.T.A.R.S. : @Lindsay22679339 @EricaVioletLee Thank you for coming! UR S.T.A.R.S. : @keitheadolph Thank you for being so instrumental in the day once again, Keith!